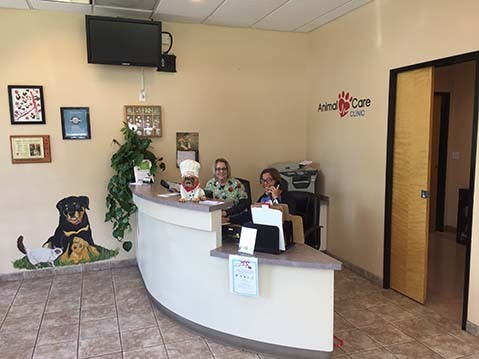 Animal Care Clinic is committed to providing excellent pet care. All of our local veterinarians genuinely care about their work. We hope you'll take a few minutes to read more about our dedicated team. 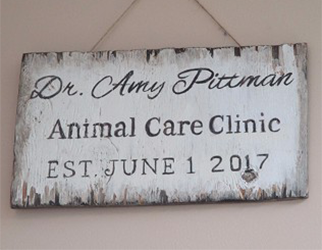 Dr. Amy graduated from University of California, at Davis College of Veterinary Medicine in 2002 and she has been practicing in the Pacific Northwest since graduation. In August of 2016, she completed her extra training to become a certified canine rehabilitation therapist through the Canine Rehab Institute. She joined the team at Animal Care Clinic in June 2017. 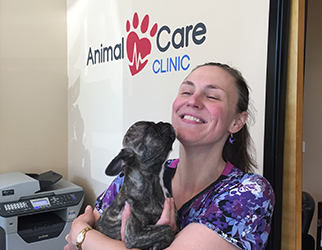 Dr. Amy hopes to continue to share her knowledge and passion for veterinary medicine with her patients, clients, and coworkers. In addition to veterinary medicine, Dr. Amy enjoys spending time with her family, hiking, working in the garden, reading and crocheting.